Welcome to Skytech Aviation, Inc. In today's aviation industry business is more competitive and customer's needs are greater than ever. Airlines and their suppliers need better products at better prices and better lead times. 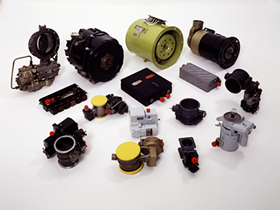 This causes airlines and parts suppliers to search out ways to address these needs. Our actions and plans are geared toward helping our customers achieve more for their invested time and money. Our philosophy is "A SATISFIED CUSTOMER, IS A CUSTOMER FOREVER." in our company are geared toward one thing "customer satisfaction". With over 50 years combined aviation experience our staff works for you. Give us an opportunity to prove ourselves to you and we will not let you down.